In our Minute Movie Recommendation, we let the readers know whether the film is worth watching in under 1 minute, check it out below! Halloween brings back fond memories of me watching this 20+ years ago with my grandmother who would always criticize the cast for doing stupid stuff like NOT RUNNING AWAY or by entering an abandoned house to hide when you could have just RUN AWAY. Fast forward to 2018, Halloween is back and while watching it, the film magically brought me back to my childhood but now, with more wisdom like my grandma because I found myself saying the exact same things she said as well. Looking for a scare in this season of trick or treat? Read on to find out if Halloween is worth your treat! That was the great thing about this film, it brought me back with its old school vibe and synthesized sounds, heck even the font used for title and credits were screaming 80’s. It was a nice trip down memory lane and I personally liked how the film took elements from the films of old and incorporate it into the 2018 iteration, seemingly like a love letter to the fans of the series from way back. If you love those retro touches in films, then you’ll be pleased to know that the film feels “old” in all the good ways. If you’ve watched old school horror movies, there are quite a few things you can relate with. First, is that somehow, you KNOW who gets killed in the film. You may not know how or when, but for sure you know that he or she is going to get it sooner or later. It could be the nosy neighbor, or the person who goes outside of his already locked house to investigate strange sounds. Second, and really the dumbest thing, is that these people do not know when to run. It’s like they’d rather hide behind a closet inside an abandoned house rather than running away from something that’s walking. Third, and we may never know why, is that they really don’t like fighting the bad guy with guns. They have a lot of it, the police have firearms too, but they always get caught with their hands down and subsequently get killed without a fight. If you nodded in agreement to ALL of these points, well you’re in luck because the 2018 Halloween movie has all of it! I don’t mean that in a bad way, it’s actually pretty great and honestly, it’s that homage to the horror movies of old that made it such a good film to watch for me. This is not a completely jump scare movie by any chance, most of the time you’ll actually see Michael Myers coming for you but the scary thing about it is the knowledge that you can’t do anything about it. If you love horror movies in general, Halloween is a must watch, I feel. It’s a classic series and a classic villain, it has elements of the old films incorporated, and more importantly, I’m in my mid 30’s and I still almost wet my pants! This makes for a good date movie actually, and with how old school the movie is, the old school arm around the shoulder move works well here too! 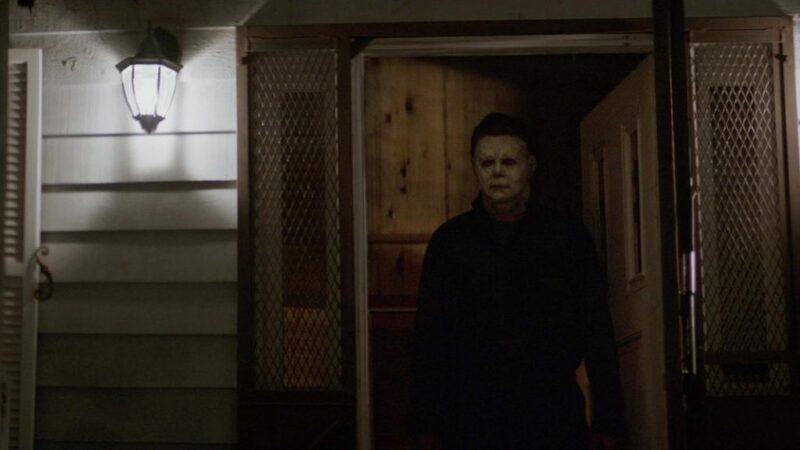 Halloween 2018 has been met with very positive results from the viewers, evidenced by the fact that it made a $77.5 million, number 1 debut in the US — the second-biggest opening ever for a horror film. With Jamie Lee Curtis back in the role of Laurie Strode, you can expect that the film will be an instant classic that will rank pretty high in the list of best Halloween movies ever. Halloween is rated R-16 without cuts and opens in Philippine cinemas on October 24! Previous articleThe ROG Phone releases this week at ESGS 2018 — how much will it cost? Next articleMy Hero Academia: Two Heroes is finally releasing in PH cinemas on October 31!